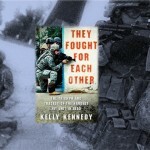 WoW features Kennedy’s book on this Words on Wednesdays to acknowledge the bonds of service members. Nations stood in honor of Veterans just a few days ago, so it feels right to note that what gets our nations’ warriors through is their caring for and protection of each other, day-to-day. Kennedy embedded with the 26th Infantry Regiment in June of 2007. 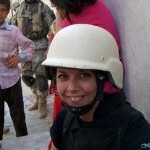 She reported from the frontlines in a series for Army Times. In the process she witnessed some of their darkest days, and they had many. “They Fought for Each Other” is not only solid reportage from the frontlines in Iraq, it is the story of a rifle company’s fight in Adhamiya, a neighbourhood of Baghdad known as No One’s Land. A lawless and terrible place of random violence, rife with insurgents and criminals. It is where the 1/26th Infantry put in 15 months of service and fought against long odds and somehow restored it to a secure neighborhood with open storefronts and a safe populace. Kennedy went on patrol with the soldiers and spent hours in combat support hospitals. One has to wonder how Kennedy, herself a veteran of tours during Operation Desert Storm and in Mogadishu, Somalia, clung to her own balance as she observed the plight of Charlie Company. They took more casualties than any U.S. battalion since Vietnam. The only thing that brought Charlie Company through the “grief, fears and nightmares was their caring for each other”, hence Kennedy’s title. Charlie Company paid a heavy human cost in mental health injuries layered on top of the physical from urban combat, counterinsurgency, and civic action. In December 2006, 19-year-old Ross McGinnis threw himself on a grenade to save four friends. He received the Medal of Honor. A Humvee rolled over a roadside bomb, killing two soldiers and severely burning the others. In June, a Bradley hit another bomb, and it killed five soldiers and an Iraqi interpreter. Soon after, a well-loved first sergeant in the battalion, 1SG Jeff McKinney, killed himself in front of his men after not sleeping, eating or drinking for several days. Then, a second Bradley hit a bomb, instantly killing four soldiers. The platoon I embedded with was accused of mutiny after they refused to go out after the second Bradley was hit. They said they feared they would kill everyone they saw if they went out because they were so full of rage. Charlie Company lost 14 men, and Second Platoon came home without nine of their friends. The book, also details their good days, as well as some of the silly things they did, like setting up rat traps in the middle of the night to scare other soldiers or wearing purple wigs out on patrol. The men of Charlie 1-26 would earn at least 95 combat awards, including one soldier who would go home with three Purple Hearts and a lost dream. 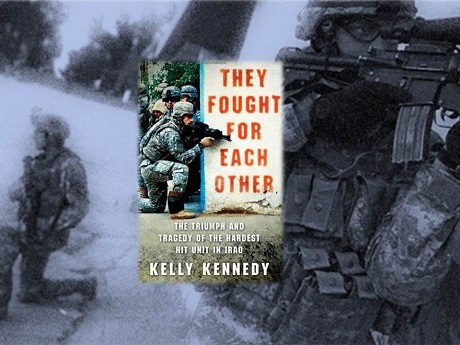 Kelly Kennedy served in the United States Army from 1987 to 1993, including tours in the Middle East during Desert Storm, and in Mogadishu, Somalia. 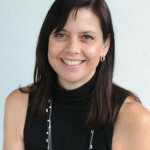 After earning her journalism degree at Colorado State University in 1997, she began her writing career as an education reporter for the Ogden Standard-Examiner in Utah, a criminal justice reporter at The Salt Lake Tribune, and a family and education reporter with the Oregonian in Portland. While earning a master’s degree in journalism at the University of Colorado, Kennedy taught journalism classes at both her alma mater and the University of Northern Colorado. After completing her master’s degree, she worked an internship at The Chicago Tribune before arriving in 2005 at Army Times. 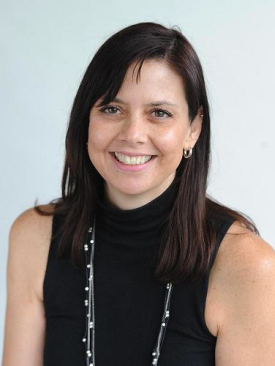 In 2010, she began work as a health policy reporter at USA TODAY, where she continues to cover health issues in Desert Storm veterans, as well as health issues associated with burn pits and dust in Iraq and Afghanistan. 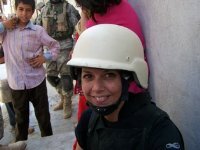 In 2010, she received an Honorary Mention John B. Oakes award for her reporting on burn pits in Iraq and Afghanistan, as well as Disabled American Veterans’ Bugle Award for the burn pit stories and her book, They Fought for Each Other. In 2008, she was named a finalist for the Michael Kelly Award for a series about a unit she embedded within Iraq. She is also a 2008 Ochberg Fellow, sponsored by the Dart Center for Journalism and Trauma; and a 2008 Rosalynn Carter Mental Health Journalism Foundation Fellow.